D.C. native and current University of Richmond junior Olivia Pivirotto has invented a drinking tumbler that's designed to control college student binge drinking and prevent their drinks from being unknowingly spiked with drugs. It's called the SWIGSAFE. WASHINGTON — D.C. native and current University of Richmond junior Olivia Pivirotto has invented a drinking tumbler that’s designed to control college student binge drinking and prevent their drinks from being unknowingly spiked with drugs. She has named the product the SWIGSAFE, and Olivia and her mother Brenda have formed a company, Thomas Point Enterprises LLC, to market it. The tumbler comes with a secure lid to help prevent getting “roofied” and measurement icons that explain what a standard drink is supposed to be to help educate students about drink servings. “When I started college, I saw that a lot of people were binge drinking because they were not cognizant of how much they were drinking and realized getting ‘roofied’ happens more frequently than people think,” Olivia said. “I wanted to create a tool that raises awareness about both issues to help protect people from being drugged or drinking more than intended,” she said. 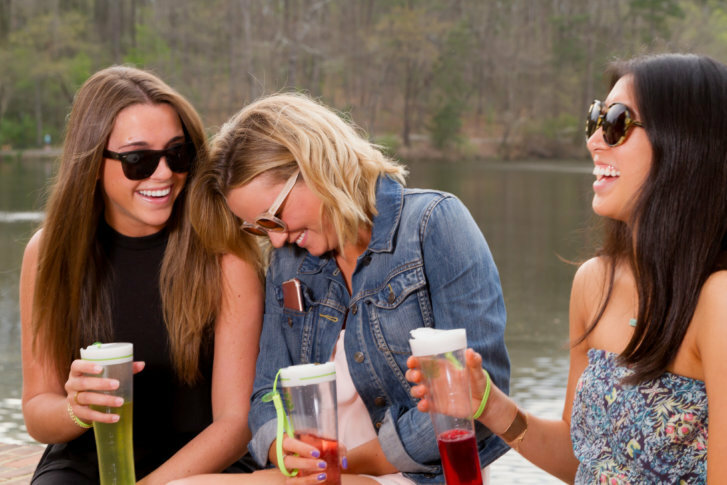 The SWIGSAFE tumbler is $38, shipping and handling included. It’s shaped like a pilsner glass and comes with a lanyard. “As a parent of a college student, I believe that speaking to your kids about alcohol consumption and providing them with tools like SWIGSAFE can help them feel empowered and make better choices about alcohol,” Brenda Pivirotto said. More than 1,800 college student deaths a year result from alcohol-related injuries, including motor vehicle crashes, according to the National Institute on Alcohol Abuse and Alcoholism.